One way that California courts reduce the number of repeat DWI offenses is by ordering alcohol rehabilitation for convicted DUI offenders. Research consistently suggests that effective rehabilitation deters at least some offenders from repeating the offense. For many, a DUI conviction will also mean fines, some amount of time in jail, and the suspension of their drivers’ licenses. 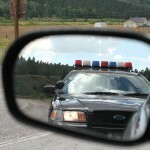 California courts may impose rehabilitation as an alternative to jail time or along with other DUI penalties. 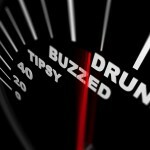 If you’re charged with DUI in Orange County – even if it’s a first offense – you’re going to need high-quality legal help as quickly as possible. 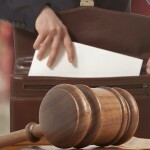 You’ll need to contact an experienced Orange County DUI attorney. Mandatory attendance at alcohol rehabilitation is part of almost every DWI sentence, and the precise terms of the rehabilitation – the number of hours, for example – will depend on the details of the DUI offense and the offender’s prior convictions. Court-ordered rehabilitation for DUI is onerous, long, and costly. An experienced Orange County DWI attorney can challenge the state’s case against you, aggressively fight the charge, and bring your DUI case to its best possible resolution, which is often an acquittal or a dismissal in California. Of course, no result can ever be promised or guaranteed by any attorney in any particular criminal case, but you cannot avoid a conviction – and the rehabilitation and other penalties – if you don’t fight the charge. If the evidence against you is overwhelming and you are convicted, your attorney will still negotiate on your behalf for a fair and just sentence. Typically, alcohol rehabilitation after a first DWI conviction is for 30 hours spread over three months. Second convictions usually lead to an 18-to-30 month program. Offenders with three or more convictions for DWI within a ten-year period may be ordered to a full 30 months of rehabilitation. Convicted offenders who reside in other states are often able to participate in a comparable program in their own state. If you’re facing a DWI charge in Orange County, your future is at stake. 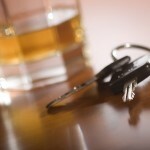 It’s imperative to speak immediately with an experienced Orange County DUI attorney.